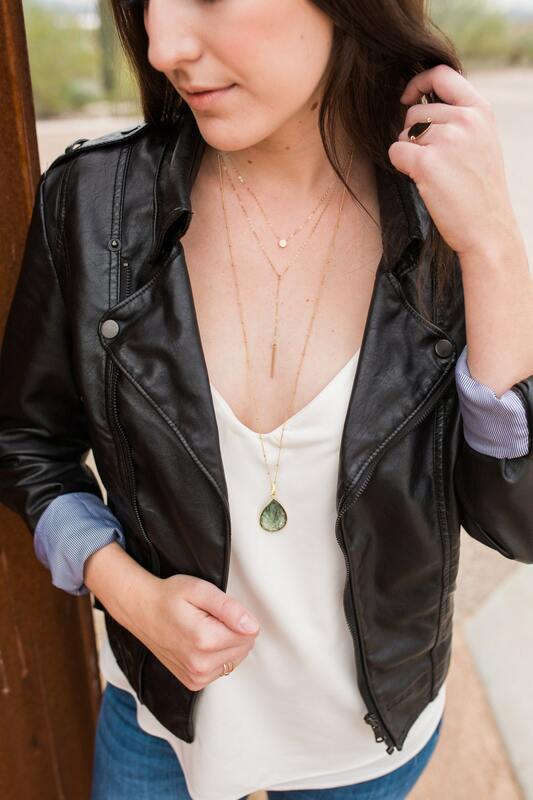 Our short lariat is elegant yet versatile. 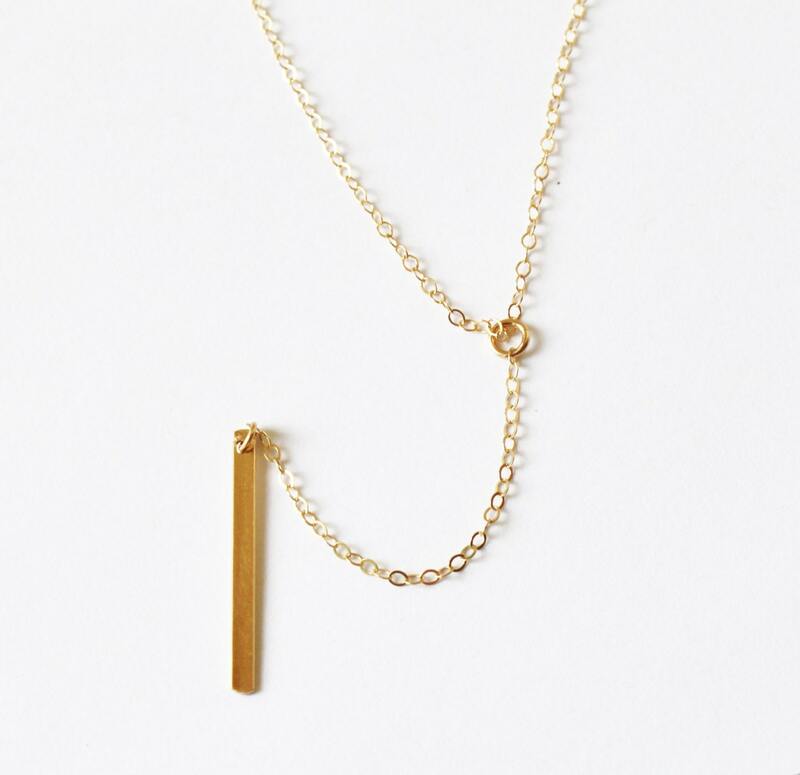 This simple necklace is perfect with your favorite tee or your little black dress. Available in sterling silver, 14kt gold filled or rose gold filled options. -Chain and bar are 14kt Gold-Filled, Sterling Silver, or Rose Gold-Filled. -Choose a lightly hammered or smooth finish. - Model is wearing 16" in Photo 1 and 18" in photo 4. Lovely necklace, exactly as described, and quick shipping. Thanks! 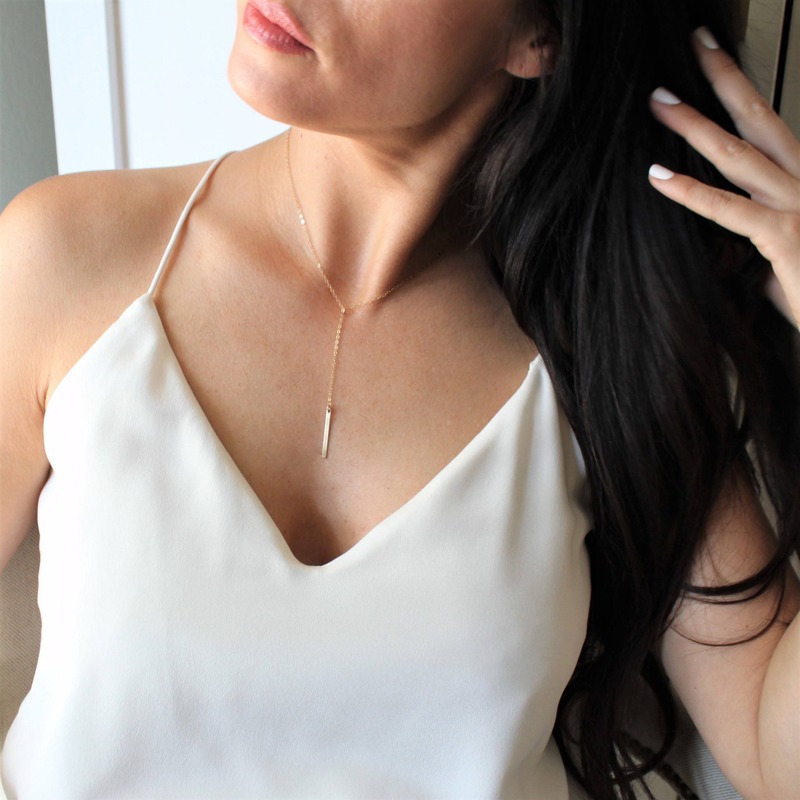 My Short Lariat Necklace just arrive and it is absolutely beautiful! This is my second necklace purchased from The Silver Wren. I love the delicate beauty of each necklace and appreciate the careful packaging! 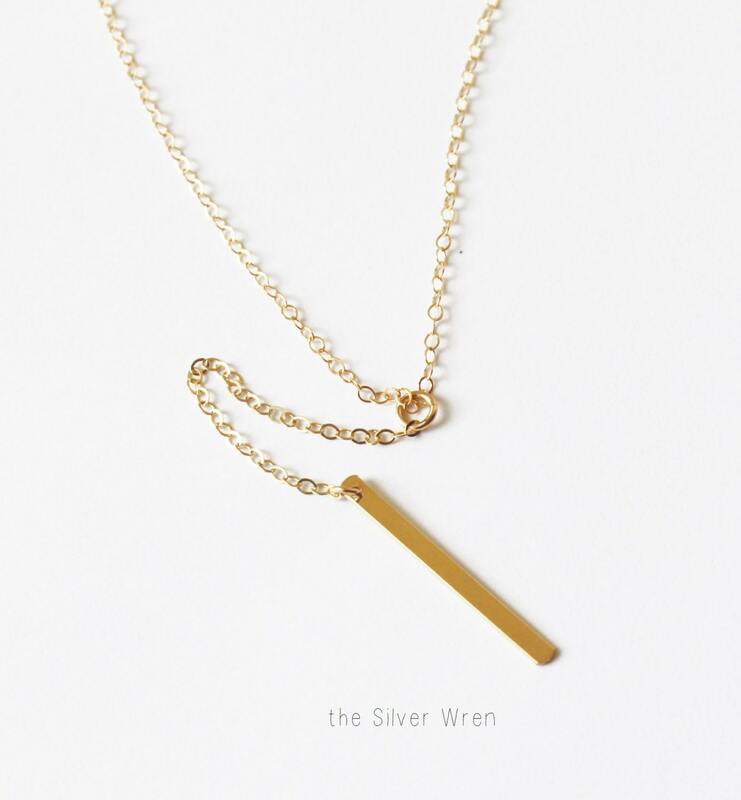 Highly recommend this necklace and The Silver Wren! Love love love the necklace, thank you! Beautiful piece that will make the perfect little gift!